In her senior year Cierra Dillard is playing the best basketball of her career. Cierra Dillard sparked the Bulls with 31 points, 11 assists, 8 rebounds in home victory. 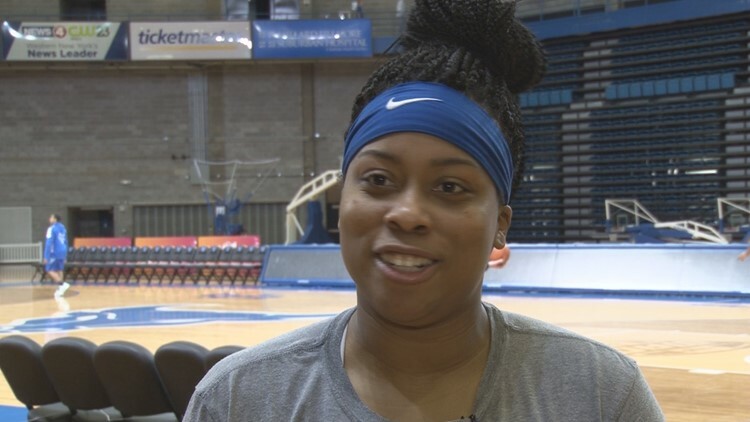 BUFFALO, N.Y. — The University at Buffalo women's basketball team was tested on Saturday afternoon, but the Bulls still got the win. UB held off Kent State 75-66 at Alumni Arena, and in the process, the Bulls improved to 16-5 this season and 8-2 in Mid-American Conference play. Cierra Dillard sparked the Bulls with 31 points, 11 assists and eight rebounds. Summer Hemphill added 16 points and 12 rebounds, and Courtney Wilkins finished with 16 points.